Over winter break, my best friend Reagan and I got to go to Austin for a couple of days. We had a blast exploring the city, spending time together, and eating AMAZING food! 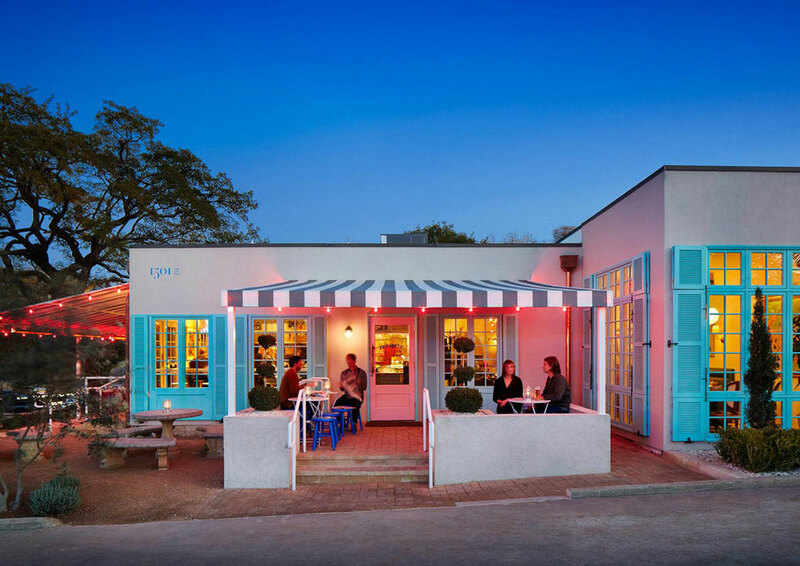 Here’s how you can have the perfect weekend in Austin with your girls! If you’re driving to Austin, first check out this playlist that we made for the drive! Our first stop was at the Czech stop for breakfast, which happens to be the halfway mark between Dallas and Austin! If you’re traveling on I-35 S towards Austin, you’ll find this beauty on the lefthand side of the highway. Don’t worry there’s plenty of signs advertising where to go! Once we got into Austin, our first visit was to the HOPE Outdoor Gallery. This outdoor graffiti park is a super fun place for walking around and taking pictures! We had a blast looking at all the art, and the best part about the gallery is each area is a different background for photos! Bring a can of spray paint with you so you can leave your mark behind! Free People has a great blog post about where to find the murals of Austin, but instead of bouncing around all day we stuck to the ones near SoCo. I instantly fell in love with South Congress due to all the unique stores, and fun restaurants. Feather’s Boutique is this super adorable vintage store right in the heart of SoCo. The feeling of going to a store and wanting to buy everything is very rare for me, and this store made me fall in love. The layout, the apparel, and the styles made this my favorite shop in South Congress we found. There were these AMAZING purple and silver wide leg pants that I also spent all my money on. I ended up getting a pair of neon pink sunglasses and a vintage Yankees baseball shirt. Other great stores we went to included Parts & Labor and By George. Near South Congress is Elizabeth Street Cafe. It’s the perfect place to grab a bite to eat for lunch. This quaint little cafe comes with a bakery, along with serving bánh mí sandwiches and noodle dishes. Afterward, we headed back to our Airbnb and settled in before dinner. The bed at the Airbnb was so comfortable, and we ended up being so tired from the day of traveling that we fell asleep. By the time we had woken up it was more time for dessert than dinner, so we had to improvise! We ventured to Halcyon for a lowkey night of s’mores and cocktails. My favorite part of the night was when Reagan and I played chess, despite not knowing any of the rules for chess. We ended up making up our own rules, and actually having a really fun time! If you’re looking for a place with fantastic brunch, and the place to get the perfect insta, Hillside Farmacy is your restaurant. With marble table tops, emerald green booths, vintage decor and delicious food, Hillside Farmacy is the most aesthetically pleasing restaurant you can find. After we ate our body weight in brunch, we decided to hit up Buffalo Exchange. This is one of my favorite thrift chains because it makes me feel like I’m on a treasure hunt. Buffalo Exchange is a second-hand store where they buy other peoples clothes and sells them in their store at more affordable prices. We brought some clothes we wanted to get rid of, and managed even to have some store credit afterward to put towards our finds! The Buffalo Exchange in Austin was incredible, and I was pulling items left and right to try on. Not only that, the store was HUGE. I’ve never seen one that big before; it just felt like I had racks after racks of clothes to discover. I walked away with a pair of black satin trousers and a black and white striped top that will be perfect for me to wear to work this summer in London! That night for dinner we went to 888 Pan Asian restaurant for a lowkey night. This place was PACKED. As soon as our food came, we understood because it was some of the best Asian food I’ve ever had. At one point I was eating so quickly I was forgetting how to breathe, but it was worth it. Honestly, would go back to Austin just to eat here again. After a late night of watching movies and seeing some friends at UT, we were so tired in the morning we slept straight through breakfast. We had plans on grabbing donuts from Gordough’s but instead, we just ate leftover fried rice and packed up our stuff. We LOVED our Airbnb and it was so hard leaving behind all the adorable animals! Before heading back to Dallas we decided to make one final stop: The Austin 360 Bridge. Alongside the road before getting onto the bridge is basically just gravel you can pull off into. If you keep your eyes peeled, you will see what looks like a hiking trail leading up. Walk up there and you will get to see the amazing view of the bridge from above! Overall, we had an amazing time in Austin and can’t wait to see where our next adventure takes us!